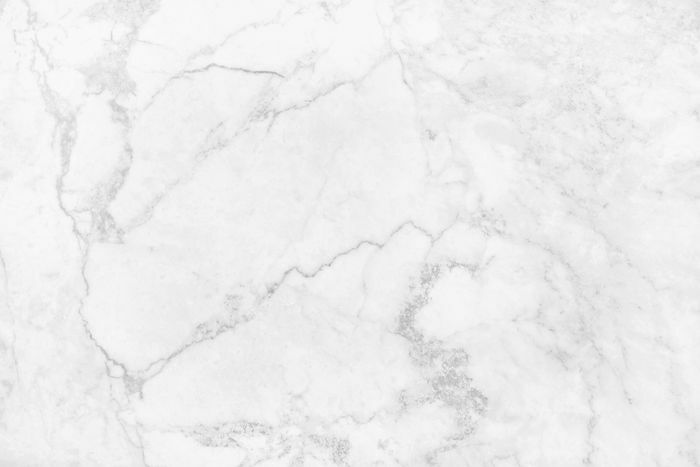 Given these rules, the four most realistic options for cheap kitchen flooring are ceramic tile, vinyl, laminate, and cork. That's actually a fairly broad list, considering that all of these are available in a wide range of styles. They are all pretty good performers in the kitchen. Note: The costs given below are recent prices from a national home improvement retailer. They are subject to change and do not include underlayment, adhesive, grout, or other installation supplies. Consider those additional costs when evaluating any flooring. 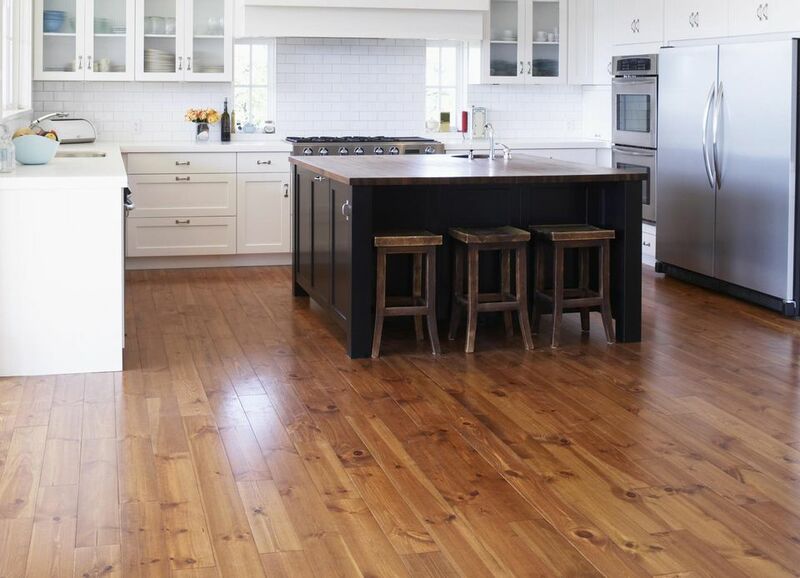 Vinyl is the easiest kitchen flooring material to install. If your subfloor is in good shape, vinyl is also the cheapest because you can usually install it right over the subfloor (or suitable existing flooring), avoiding the expense of new underlayment. Vinyl comes in several types, so you can shop based on price, look, and/or installation method. The most inexpensive type of vinyl tends to be peel-and-stick tile, followed by peel-and-stick planks and sheet vinyl. The best all-around DIY option is the luxury plank, which is usually thicker than standard vinyl tile and can be installed as a click-together floating floor. Prices for luxury planks start at about $2.00/sq. ft. Installation tips: For tiles: dry-lay a full row across the width and length of the floor to establish a layout, then draw perpendicular layout lines to guide the installation. For sheet vinyl: Create a perimeter template with butcher paper, and cut the flooring in one piece—a no-glue method (using double-sided tape in select areas) is easiest. Laminate has a rightful place among cheap kitchen flooring options, but it must be said that it's not the most durable choice for this room. 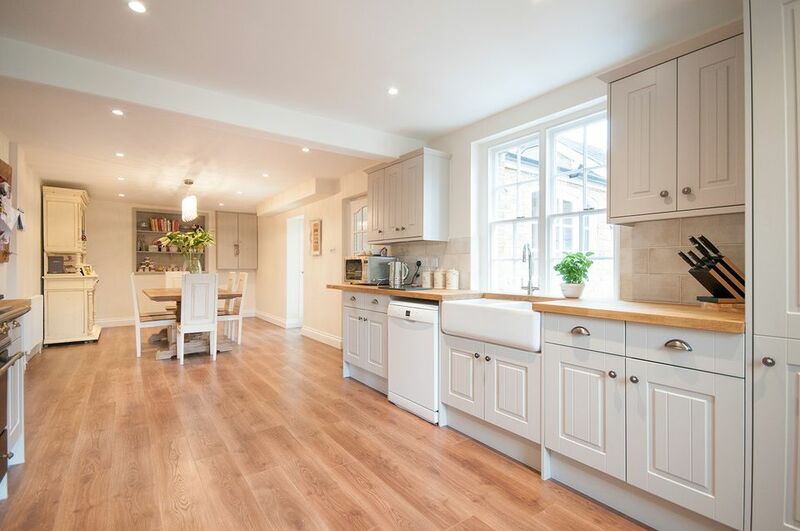 The hard resin surfaces of the planks are plenty scratch- and stain-resistant for kitchen traffic and abuse, but the seams between planks are vulnerable to water damage. A leaky dishwasher or forgotten spill can cause the planks to bulge along the edges, so you must be mindful of standing water, and avoid wet-mopping altogether (occasional damp-mopping is OK). Installing a laminate floating floor in the kitchen is a doable day-long project, and many people don't seem to notice that it's not really hardwood. If you’re willing to spend more, you might look into “water-resistant” laminate, which is guaranteed to resist standing water for a specified period (such as 24 hours). Installation tips: Be very careful with the plank edges during installation; they break easily. Plan the plank layout so you don't end up with a really short piece at either end of a row or a really narrow strip at either side of the room. Price: Starting at $0.29/Sq. Ft. Ceramic tile gives you the most bang for your buck because you get an essentially indestructible floor that’s easy to clean. Well, at least the tiles are easy to clean. The grout joints can be like grease traps, but they are much less trouble if you seal them carefully (as soon as recommended after laying the tile). If properly installed, bargain tile lasts forever, just as long as expensive tile. Styles may be less trendy, but if you go for a clean, simple style no one will be the wiser. Installation tip: Install the tile over a layer of cement board, which helps stiffen the floor (to prevent cracking) and isn't affected by moisture that gets through the tile. Price: Starting at $1.99/Sq. Ft.
Cork is at the higher end of inexpensive flooring options, but it's a comfortable and visually pleasing material that's easy to install. It offers more cushion underfoot than the others and is quite long-lasting. You might have to shop around to find cork as low as $1.99/sq. ft., but it is available. Cork is most commonly sold as snap-together planks or tiles for a floating floor installation, similar to how laminate flooring is installed. This makes cork a good DIY option, and many types of cork do not require the foam underlayment that is necessary with laminates. Installation tip: Plan the layout of the planks so you don't end up with a really short piece at either end of a row or a really narrow strip at either side of the room.